These tips from chefs will make you the envy of all your foodie friends. 1. You will cook more if you always have garlic and onion already peeled, and preferably chopped, in the fridge. "Once you get back from the supermarket, wash as many of the vegetables and fruits as possible before putting them away in the fridge. 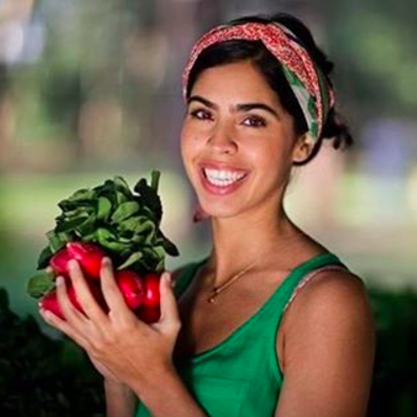 This eliminates that laziness that arises from thinking about having to wash everything before cooking," says Bela Gil on her web series Ceia Secreta. 2. Greens can last up to two weeks in the refrigerator if you wash, dry, and wrap them in a dishcloth or paper towel before putting them in the fridge. That way, they're also ready for you to just grab and use. 3. To adjust the salt, it is best not to put all of it in at once, but rather to add it bit by bit, always tasting, as you prepare your meal. Bela Gil says, "This way, the food incorporates and absorbs the salt and there is less chance of over-salting the food or having it turn out bland. For example, add salt to the pressure cooker to cook the beans, then add salt while sautéing the seasoning for the beans and, if necessary, finish with a bit of salt as you mix the seasoning into the beans." 4. To loosen the garlic's skin, pound each clove under the flat side of the knife. Bela Gil says, "Doing that makes it break up a little and then the skin comes off with greater ease." 5. To find out if the yeast is working, check to see if it creates small air bubbles as soon as it is added. 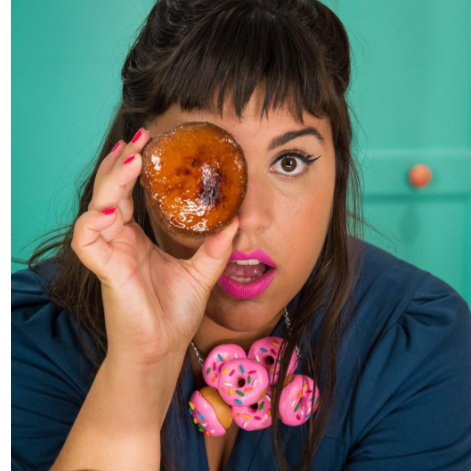 A tip from chef Raiza Costa of the program Rainha da Cocada on the Brazilian network GNT: If the bubbles make a noise, it means that the yeast is active and the cake will rise. 6. Trying to make a cake, but the butter is cold? 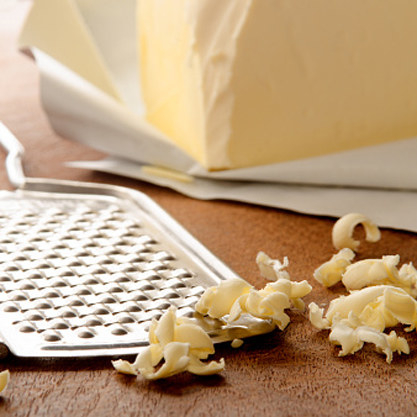 Grate it with a cheese grater. For the cake to rise well, the butter must be at room temperature. But if you forgot to leave it out of the fridge, grate it like you would cheese. "In minutes it will be at room temperature and will make your cake happily rise," says Raiza Costa. 7. Store flour in the freezer to keep both moisture and insects out. Raiza Costa says, "Flour absorbs a lot of moisture and that will change the weight when measuring for your recipe." 8. Store leftover cake in a container with a peeled apple inside. Raiza Costa says, "Have some of that super yummy cake left over? In a few hours, it will start to dry out, unless you use a peeled apple. The moisture from the apple will let neither the cake nor the frosting dry out." 9. 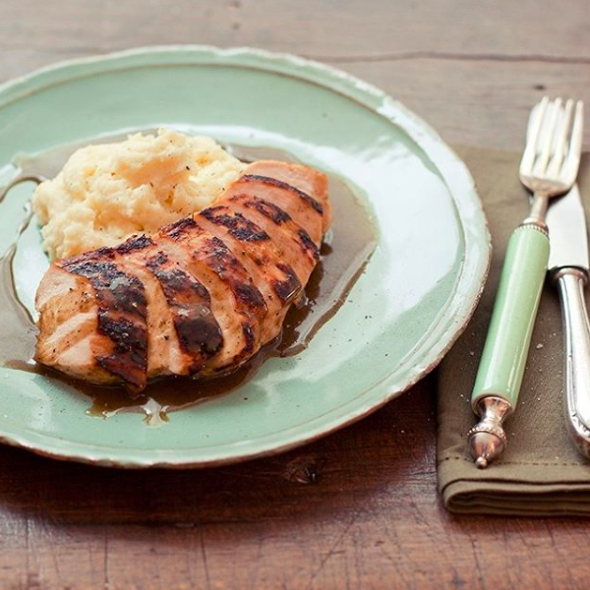 Moist chicken breast: Let it soak in brine, out of the fridge, and when flipping it, never pierce it with a fork. Brine acts like a serum that will moisturize the meat: For each piece of chicken, use one teaspoon of salt, another of sugar, and add spices as desired. Then cover with water. Let it marinate for 20 minutes, outside of the fridge, and run water over the chicken before grilling, otherwise it turns out quite salty. 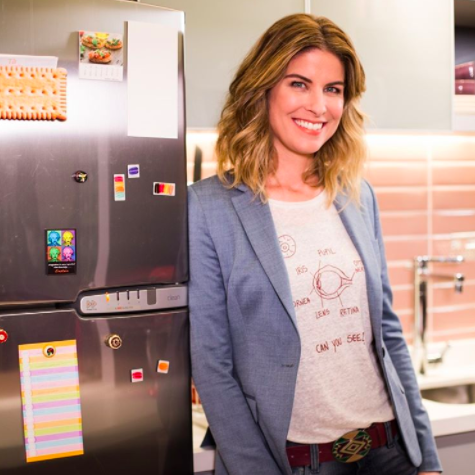 This tip is from Rita Lobo, of the program Cozinha Prática. 10. To stop that cutting board from sliding around on the counter, place a damp paper towel underneath the board. That way, you are also much safer when prepping those veggies. 11. Chop an onion more easily by leaving it intact on the root end to help hold the layers together. 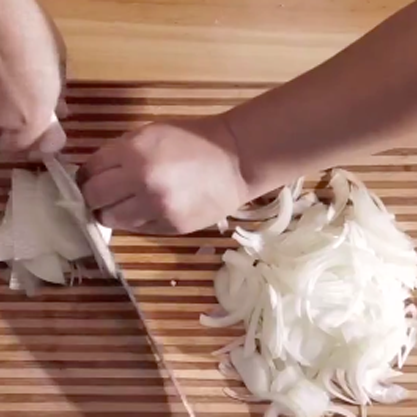 And use a different style of cutting for each type of dish: traditional small cubes for frying, medium-sized cubes for when the onion is the highlight of the dish (for example, in Asian-inspired dishes), and a crescent cut for caramelized onions. 12. Before you begin to prepare a recipe, read it through to the end. 13. Keep a small herb garden at home. Fresh spices really make a big difference to the taste of the dishes. "Fresh ingredients enhance any food and any container where you can put a bit of soil has the potential to be a great planter," says Rodrigo Hilbert. 14. Leftover pizza? Put it in a plastic bag and store it in the freezer. When hunger strikes, just put it in the oven and it will come out crispy and delicious! 15. Before flipping flan over, let it cool completely. Rodrigo Hilbert says, "I speak from my own experience: If you don't let it cool, it'll go all over the place. It might still be yummy... but pretty? Forget about it." 16. For the perfect fried egg with an amazingly runny yolk, keep the flame very low. "Keep the flame low and let it fry little by little. When the egg white is opaque, the egg is ready," says chef Elton Junior of the Michelin-starred restaurant Dalva e Dito in São Paulo. 17. For silky mashed potatoes, the secret is putting it through a fine sieve. And if you want to use the mixer to make things easier, according to chef Elton Junior, it's not ideal for mashed potatoes, but for other vegetables it's okay. 18. For fluffy rice, when almost all the water has evaporated, drop in a few drops of lime juice. 19. For extra special breading on fried foods, dip the food in a mixture of eggs and milk flavored with rosemary before breading and frying. Elton Junior says, "The secret is to respect the standard technique: Season the meat with salt and pepper, coat it with flour (and remove the excess), gently press it so the flour adheres well, dip in the egg mixture, drain the excess egg, and coat in the breadcrumbs." 20. Homemade breadcrumbs are always tastier than store-bought. "Let the bread go stale, grate it, and dry it out in an oven at 200 degrees, stirring every 10 minutes and taking care not to let it change color," says Elton Junior. 21. The ideal temperature of the grill depends on the cut of meat and you can measure it with your hand (without touching the flame). "If you can hold your hand over the heat for 10 seconds, the temperature is ideal for larger cuts, like entire cuts of meat or even a small chicken. If you can stand the heat for only 3 seconds, this temperature is ideal for thinner cuts and smaller steaks," explains chef Alejandro Peyrou of the restaurant Açougue Central in São Paulo. 22. The ideal salt for meat is granulated salt: To make it, grind a little coarse salt in a pestle or blender. Alejandro Peyrou says, "The texture has to be finer than that of kosher salt, but not as fine as table salt. And season the meat with just salt!" 23. As soon as you can see juices on the surface of the meat, turn the steak over and wait for the process to repeat itself. "Put the meat on the grill at room temperature and, after removing the meat from the fire, leave it to rest for three minutes before eating," says Alejandro Peyrou.